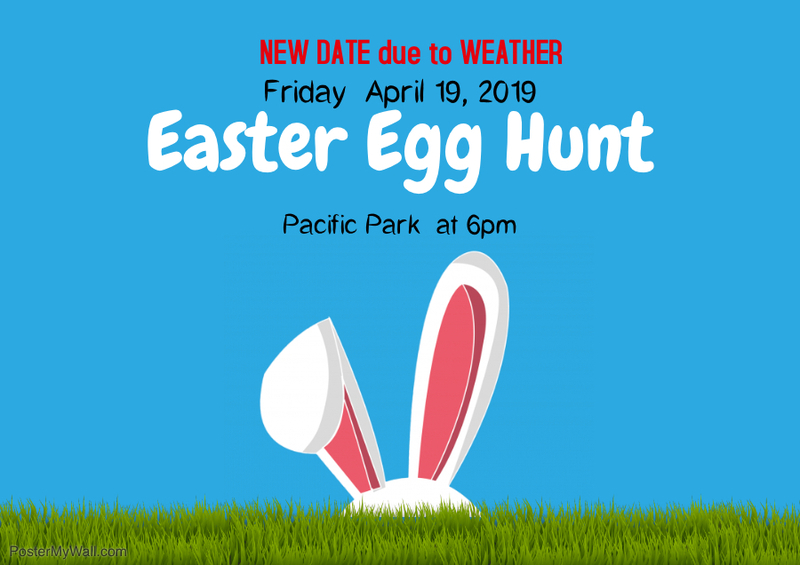 Due to the 100 percent prediction of rain forecast Saturday, the Easter egg hunt planned at Pacific Park by East End Allegiance Our Youth has been pushed back one week. ” It’s important that we do something in the community for our youth! We didn’t want to cancel the event. Come out for an evening Easter egg hunt! The kids will love it,” said EEA President Bridgette Cooper.